The foundation of a healthy smile is a combination of proper oral hygiene and routine professional dental care. Education and preventive measures are essential to protect children’s teeth and establish healthy habits. At the Cedarhurst, NY dental office of Dr. Alina Bergan, it is our mission to help you educate your entire family on the importance of proper dental care in the maintenance of a long-lasting smile. Dr. Bergan has a kind and approachable chairside manner and a gentle touch. She has calmed many anxious kids and through encouragement made them learn to enjoy their visits. 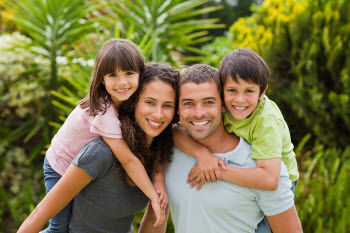 We want all children that come to our Cedarhurst family dental practice to have a positive experience. As your child grows, in addition to brushing and flossing, we will emphasize the importance of a good diet that includes plenty of fruits and vegetables and avoids sugary sweets. Early diagnosis and intervention are important to evaluate present and future problems. Our cutting-edge digital examination equipment enables us to get the clearest images of our patients’ smile. This gives Dr. Bergan the ability to illustrate the condition of their teeth, bite, and any areas of concern. When necessary, we provide night guards to protect teeth from grinding and offer sports guards to help lessen the impact of trauma while participating in athletic events and other physical activities. We offer emergency dental visits if you experience damage or severe dental pain and usually can schedule an appointment within 24 hours. Dr. Bergan and her team take pride in the fact that we have adult patients who have visited our office for dental care since childhood. We believe that understanding the way teeth change over time, depending on genetics and oral hygiene practices, will empower patients to take control of their oral health habits. This is the key to preventing gum disease, tooth loss, and other dental conditions that can diminish your smile. For more information, or to schedule an appointment with an experienced and compassionate Cedarhurst dentist, call our office today!